Can I monitor specific languages? 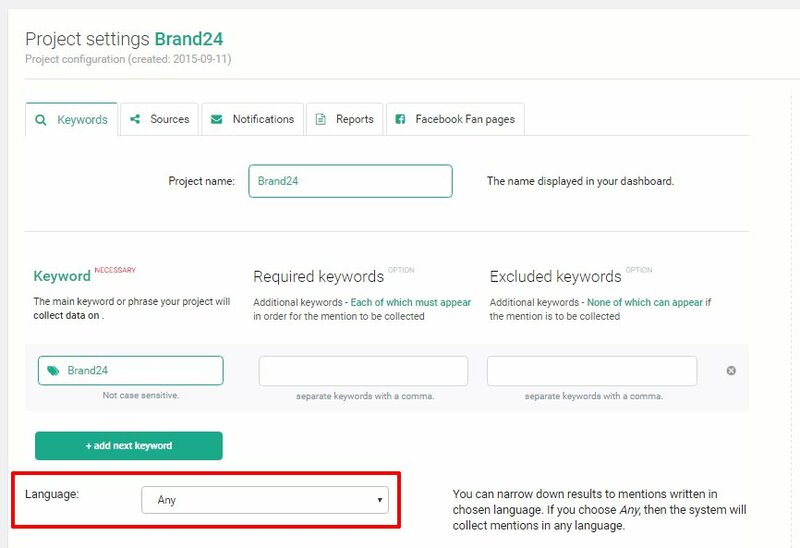 When you enter a phrase or word from a given language as a keyword, Brand24 will look for mentions containing that word. You can also choose from several language filters that can help you narrow down your results to mentions written in a particular language. Select your required language by heading to your Project Settings, where you will be able to activate the language filter of your choice.